From skater skirts to funky flats to denim shirts, Mizzou students really showed off their personal style this week. 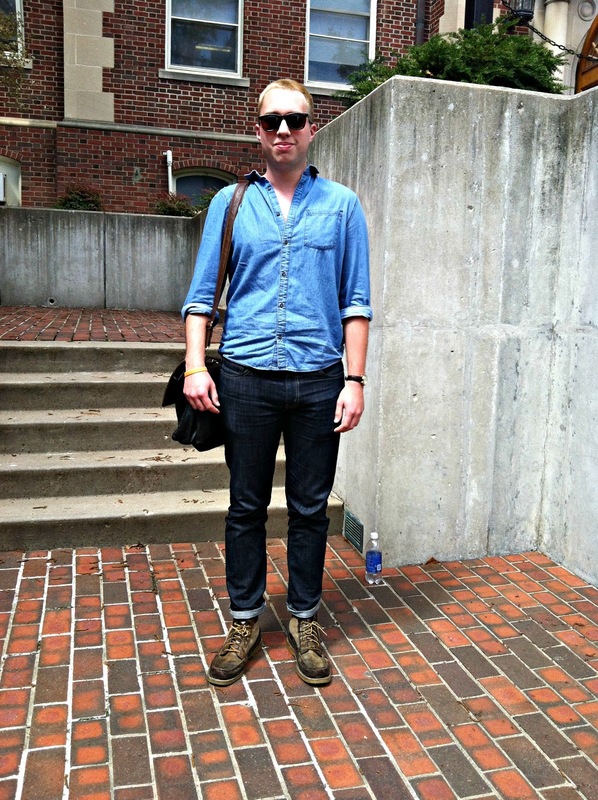 Check out who CGM caught looking extra hip during the final weeks of the spring semester. No norts and running shoes for them! I always see senior computer science major Chen Ju on the Campus View shuttle on my way from campus. She catches my eye everyday with chic pairs of shoes, bold blouses and unique combinations of pieces. I finally mustered up enough energy to -- creepishly -- get off at her bus stop and pursue the chance to show CGM readers how stylish she was, and I was thrilled to find Ju a friendly delight! Ju knows how to throw on a casual ensemble while still leaving her mark on Mizzou’s campus catwalk. “I change my style a lot,” Ju said. “It depends on my mood for the day.” She goes on fashion excursions at Nordstrom, Neiman Marcus and Bloomingdale’s, and she looks to Jessica Alba, Miranda Kerr and Olivia Palermo for bits of style inspiration. When it comes to pondering an ensemble for school, Ju advised women to wear flats; if a heel is necessary it should be as low as possible! Skater skirts are one of this season’s fashion must-haves, and sophomore journalism major Jia Lim wore hers well! She loves crop tops and daisy dukes for spring weather, and Topshop serves as her go-to site for fabulous finds. When the weather reaches its peak, Lim advises students to dress with a balancing act; “If I show off my bottom, I don’t wanna show off the top.” Meaning, if you want to show off those stallion legs with short shorts, pair them with a cute tee or blouse rather than a revealing tank or bandeau. It may be warm outside, but keep it as classy as possible!